Kogi INEC fixes date for Dino Melayes recall process – Royal Times of Nigeria. 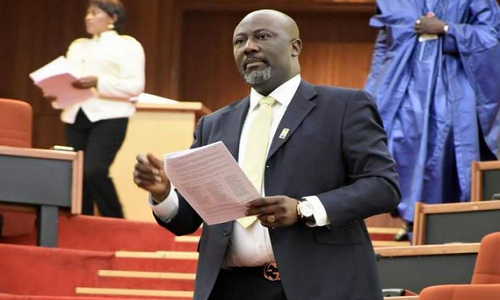 The Kogi state Independent National Electoral Commission on Wednesday announced dates for the commencement of the recall process of the embattled Senator representing Kogi West,Dino Melaye. The Resident Electoral Commissioner in the state Professor James Apam said following the appeal court ruling that INEC can commence the recall process, the commission has fixed the last Saturday of April as the verification date. He said, “On this day,the commission will endeavour to invite all those who have signed the recall register to come forward and identify their signature,”. “if the answer was able to meet the constitutional requirements of 51 percent yes,the process moves to the next stage but if it fails,the process stops,”. Apam said that as a law abiding people, INEC will not do anything outside the dictate of the law,that is why we have to wait till after the judgement before going ahead with the process.